70 secular kibbutzim and moshavim (cooperative villages) have requested organized communal prayers on Yom Kippur. In an interview with Arutz Sheva, Yair Ganz, deputy director of the Panim el Panim Organization (meaning literally, face to face) which assists those who wish to take part in communal prayers on the High Holidays, discusses an initiative which began seven years ago and has quickly caught on and drawn heavy demand. 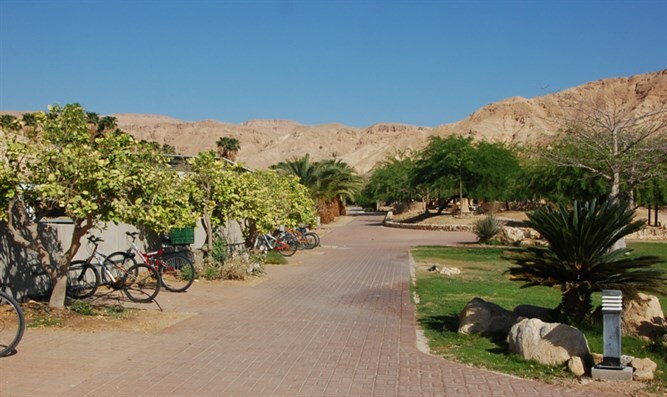 "Seven years ago we began to provide solutions for secular kibbutzim and moshavim which wanted to establish communal Yom Kippur prayers but did not know how. They appealed to us and we organized prayers. It began with a small group of 5-7 places and now there are some 70 kibbutzim and moshavim taking part in the initiative. Every year there are new ones." This year for example there are three places where communal Yom Kippur prayers had almost never existed. "In one place there had never before been prayers, in another the prayers had been in accordance with Reform customs and in one place there had been prayers but for a number of years they had not had prayers and now they asked us to organize communal prayers again." So what brings a kibbutznik to request prayers which were never part of the daily program in his locale? Is Judaism less threatening today than before? The scope of activity on Yom Kippur involves about 900 people who come from yeshivas, army preparatory academies, yeshiva high schools, Hesder yeshivas and from various other organizations. Ganz says that the Panim el Panim organization gives each volunteer a special kit to prepare them for the meeting with the kibbutzniks and for the holy day. The kit includes examples of subjects for group discussions on the eve of Yom Kippur, speeches to be given in the synagogue, as well as other materials for the meetings with the kibbutzniks. All these can enable each volunteer to coordinate activities and timing in accordance with the requirements and needs of each individual audience. "Every year there are meetings between religious youth and kibbutzniks, every year it gets bigger and our event takes central stage." says Ganz and gives an example of a kibbutz which used to hold only Reform prayers and afterwards Panim el Panim conducted prayers in a small side building while the Reform prayers where in the community center. This year things will be reversed with the orthodox prayers being held in the community center. What about the issues of segregation which have caused such a furor in Israeli society recently? Do kibbutzim accept the segregation between males and females? Ganz says that this is a complex and controversial issue which does not just concern the organization's work with kibbutzim but also its other work with students and soldiers. He cited a question which had been raised just yesterday and had not yet been referred to the rabbinic counselors of the organization. "One kibbutz wants a minyan (prayer quorum) but stipulates that men and women should sit on both sides of the hall without any seperation. Is this permitted? We could add another parameter to the question- what will happen next year? Maybe if we begin this way things might change for the good by next year and if we don't begin there will be a Reform prayer there..." said Ganz, who left the question waiting for a halakhic response.